Many former Stasi members are still in public office in Germany today. In fact, they’re on the offensive when it comes to victims looking for recognition. ‘Former Stasi Officers Guard Angela Merkel’, ‘Broadcast Network Hotbed of Former Spies’, and ‘Politician Gregor Gysi Telltale?’. The past years have seen regular news articles about the Stasi past of public figures. In 2009 it was revealed that approximately seventy thousand current employees of the German government used to work for the Stasi [Link1: spiegel.de/international/germany/the-world-from-berlin-stasi-files-reveal-east-germany-s-dirty-reality-a-635486.html]. The GDR secret service has been partly responsible for over 200,000 political prisoners, and about a thousand deaths of East Germans who tried to flee the GDR. Although former Stasi staffers were no longer allowed to hold public positions after the fall of the Berlin Wall, in reality that turns out to be tough. What happened? 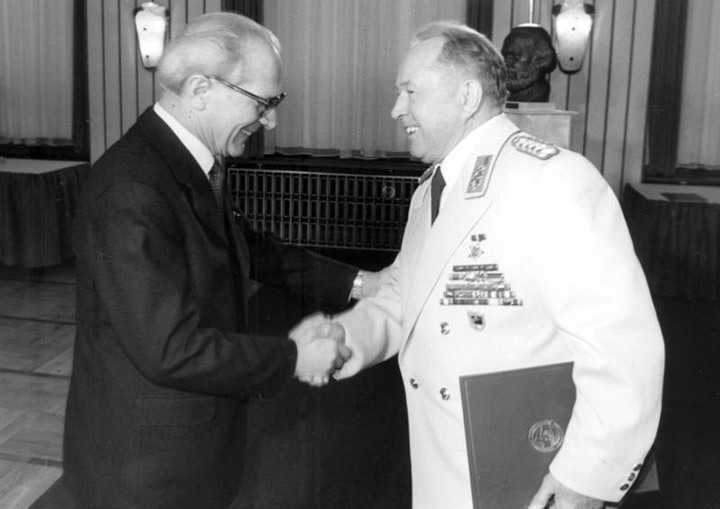 Erich Honecker congratulates Erich Mielke with the thirtieth anniversary of the Ministry for State Security. 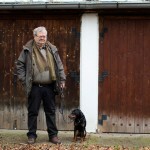 Victims of the GDR regime have difficulty stomaching the fact that former Stasi staff is still treated with kid gloves. For example, names of Stasi officers have been removed from public archives. In fact, parts of these archives are no longer freely accessible because of lawsuits filed by former Stasi members appealing to their privacy. Many associates of the past secret service have managed to have references to their past removed from books and exhibitions. WDR documentary Im Auge der Macht - Die Bilder der Stasi.